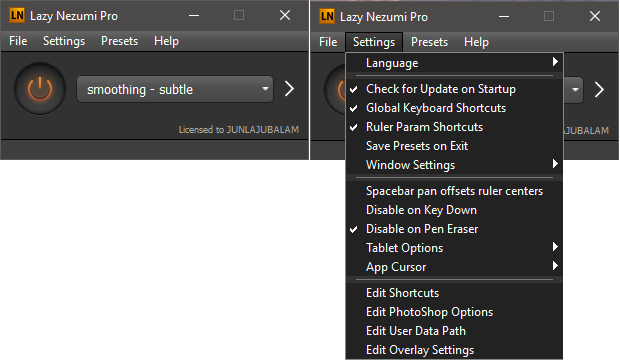 Lazy Nezumi Pro is a Windows app that helps you draw smooth, beautiful lines, with your mouse or pen tablet. It works with your favorite art programs, including Photoshop, Illustrator, Flash, and many others. Switching software in the middle of your work because your main art program doesn't support input smoothing? If any of this sounds familiar, you will love Lazy Nezumi Pro! Size: 0,53 / 14,52 MB.